Democrat point liar and attack freak who every patriot in America wants to punch his lights out, Rep Adam Schiff, warned President Trump against redacting anything from their rebuttal memo that the House Intel Committee voted to release. 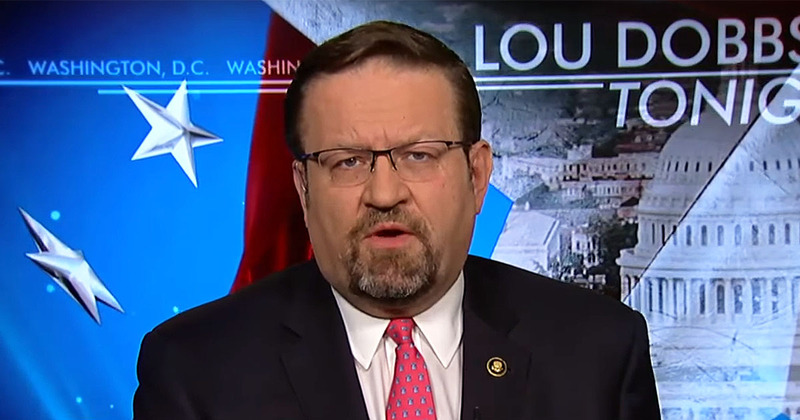 Dr. Sebastian Gorka has a few things to say about “Little Adam” as President Trump has politely dubbed the sideshow bobble-head and his RINO counterpart in the Senate, Amnesty Juan McCain. David Asman points to the conflicting positions from one weak to another of Schiff and the lying Democrats. They point out the contradictions between the Democrats in the aftermath of the memo’s release as well, describing it as a nothing burger of no value instead of Armageddon and the complete sabotage of our intelligence and law enforcement capabilities they had theatrically been wringing their hands over just hours earlier. That’s exactly what Comey did, if you remember, spilling everything to his media buddy. That’s why we have a Mueller pig digging up a lot of BS instead of RUSSIAN COLLUSION PROOF. All of the people he has sited and has cost them a bunch of money shout sue him for all of the unearned money he and his gang of lawyers have been paid. He is chasing the wrong people and party. Yes, About time he admitted he was such a sore loser that he sided with the Democrats because he was a sore loser ! also LITTLE ADAM IS A MAJOR LEAKER BESIDES BEING A LIAR AND TRAITOR. and DON’T get me started on THAT DISGUSTING SCUMBAG TRAITOR JUAN MCCAIN. i mean when you leave a CLOSED DOOR INTEL MEETING, OR SLIP AWAY FROM THAT TO RUN OUT AND LEAK, THEN BY DEFINITION YOU ARE A TRAITOR AND SPY IN MY HUMBLE OPINION. all of what’s been happening for YEARS, by those TRAITORS AND CRIMINALS IN CONGRESS FBI AND DOJ CAN’T CONTINUE, SOMETHING REALLY NEEDS DONE TO THE TOP BRASS TO SET AN EXAMPLE AND THOSE PUNISHED TO THE FULL EXTENT OF THE LAW.